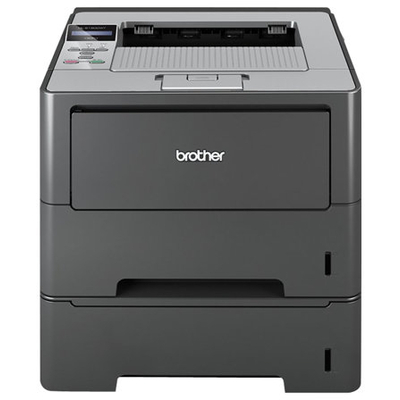 The Brother HL-6180DW is the ultimate high volume monochrome laser printer solution for medium sized businesses and small workgroups. It features reliable, high-speed printing at up to 42ppm and automatic duplex printing for producing professional two-sided documents and booklets. The HL-6180DW provides a large 550-sheet paper capacity for fewer refills, and offers low cost output via a super high-yield 12,000-page replacement toner cartridge. Users can share the HL-6180DW with others on their network via its built-in Gigabit Ethernet or wireless 802.11b/g/n interfaces, and wirelessly print from their mobile device via: AirPrint, Google Cloud Print, Brother iPrint&Scan, Cortado Workplace and Wi-Fi Direct. This model comes with a spare paper tray.